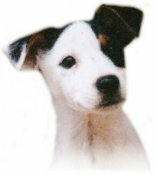 I created this website because I love Jack Russells, and because I enjoy viewing Jack Russell Terrier Pictures while reading dog stories about my favorite breed. If you've come to see great Jack Russell Terrier pictures, or if you're trying to learn more about this dynamic breed of dog or if you're thinking of getting one, then you've come to the right place. Here you can find answers and ask any question. We have a Vet answer all dog health related questions and publish other questions and answers such as those regarding dog behavior and training. We also ask our readers from around the world to comment on your questions, a great source for expert answers on anything Jack Russell. For my own part, after having owned and raised two Jack Russells, I just don't know of another breed of dog like these little Napoleons. There's none so loyal and none so affectionate. If your Jack is selected, you will see your own Jack featured here! So come on guys! Send your Jack's pic in by submitting it here! They learn extremely fast and grow into dogs who love to please...that is, if a firm hand is exercised in the puppy years. My honest advice to those of you considering a Jack Russell as a new family member, is to make sure you have the yard space this dog needs to run and play and hunt. And be available to give him lots of attention and affection, because they DEMAND it. Without a doubt these dogs are high maintenance. But it's because they're more human than animal... always thinking about stuff... always looking for the next big fun and the next big adventure. So unless you're ready for a dog like this, I'd advise against getting one. But if this is just what you are looking for, I promise you, you'll encounter the most loving and endearing personality you'll ever come to know. Would you like to your dog on our site so the whole world can see him or her? If so, just click here to email the pictures to me. Please send at least 4 to 5 pictures so I can create a slide show and also write a short paragraph describing your special pal. There truly is no other dog like the Jack Russell Terrier. 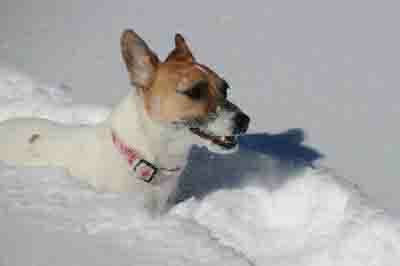 This site explores the unique beauty and the dynamic nature of the Jack Russell. After surfing this site, you may feel you've just got to have one!